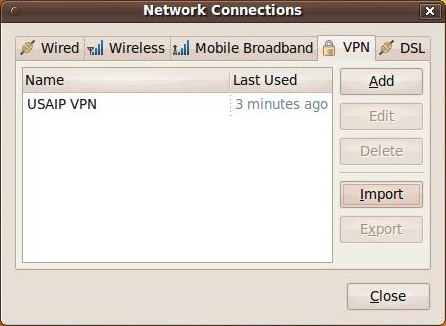 Download the our VPN profiles from here. Extract them to a safe location on your computer. 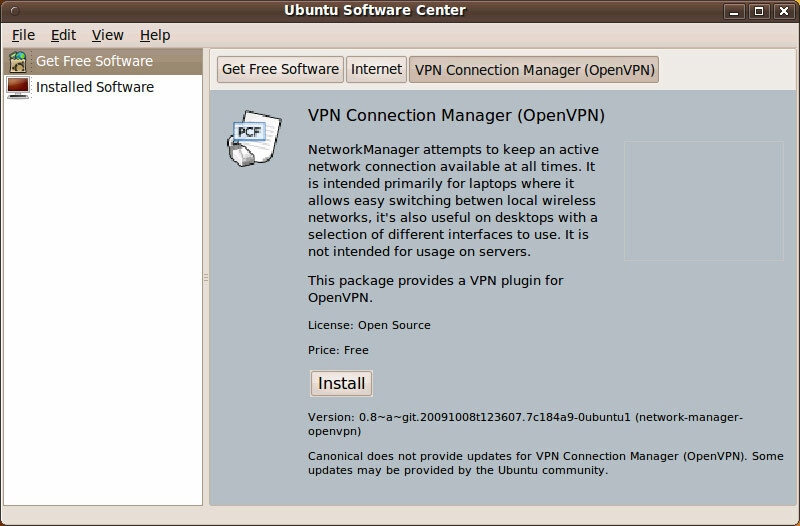 Make sure that the OpenVPN VPN Connection Manager is installed. 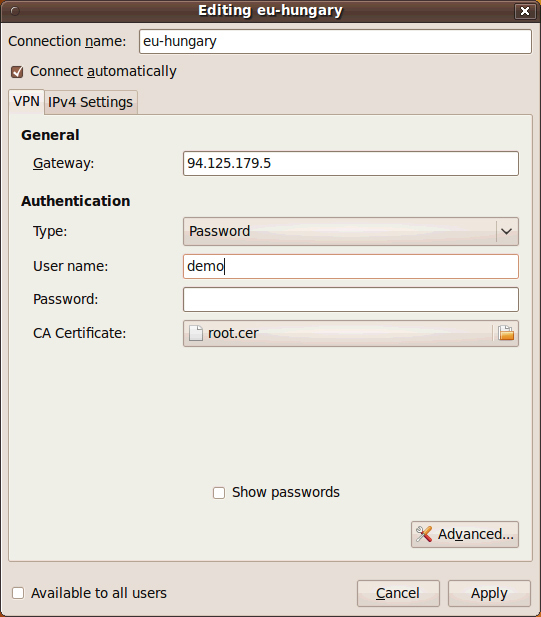 Find the OpenVPN profiles you extracted in the beginning of this tutorial. Select one to import. Check the imported connection. 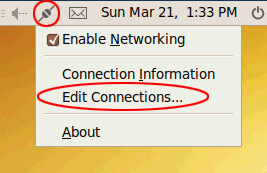 Type in your USAIP VPN username in the User name field. 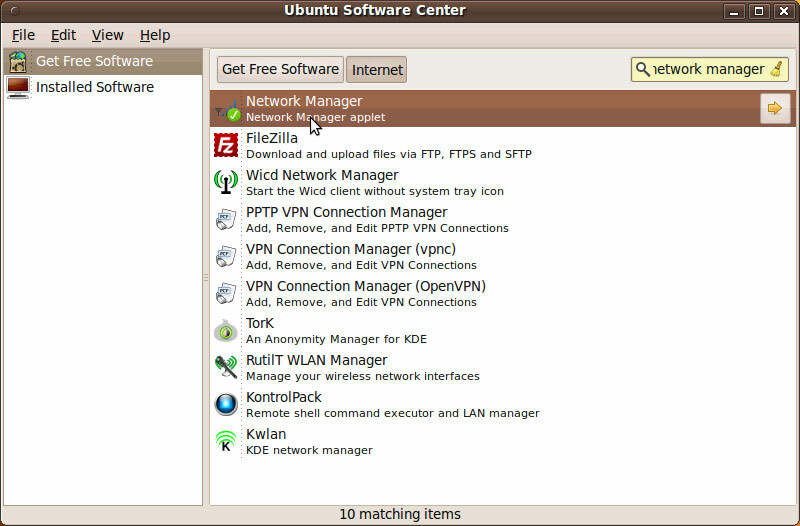 Click the network icon and select the OpenVPN profile you want to use. Click it to connect. Type in your username. DO NOT CLICK THE REMEMBER PASSWORDS CHECKBOX. Click OK. 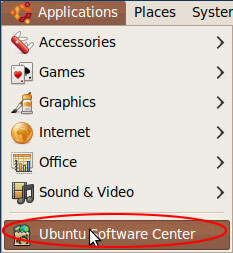 The Ubuntu OpenVPN connection manager is buggy and needs manual help to finish the connection. 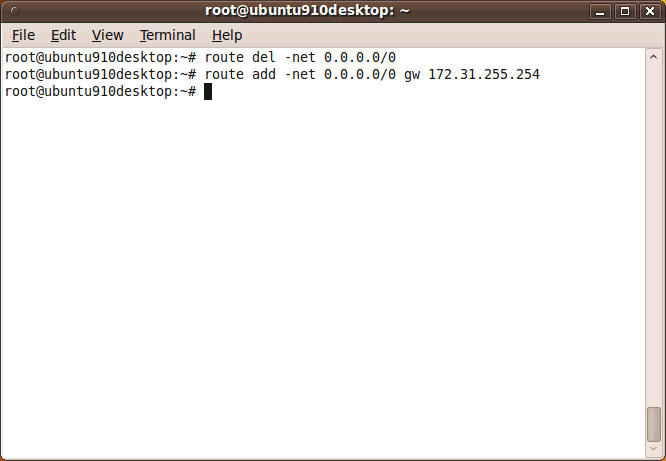 Type the following 2 commands into a shell or command terminal after connection.